Lorinda Hackett, a professor of teacher education at Missouri Southern State University, has been named interim dean of the university’s School of Education. She began her duties June 1, following the retirement of Dr. Deborah Brown at the end of the spring semester. Hackett received her bachelor’s of science in education and her master’s degree from Northwest Missouri State University, before obtaining her education specialist degree in 1993. Before joining Missouri Southern in 2000, she taught social sciences at Pittsburg High School. She began her career at Missouri Southern as a teacher certification officer, and became an assistant professor and full-time instructor in 2006. She became an associate professor in 2013 and served as chair of the Teacher Education Department starting in 2015. During her time as department chair, the Teacher Education Department became the first in the state to meet new accreditation standards set forth by the Council for Accreditation Preparation (CAEP), and also served on the oversight ad hoc committee during the development of the new faculty handbook. “I’m humbled by the opportunity to serve in a leadership capacity at Missouri Southern,” said Hackett. “I have high regard for the departments in the School of Education. 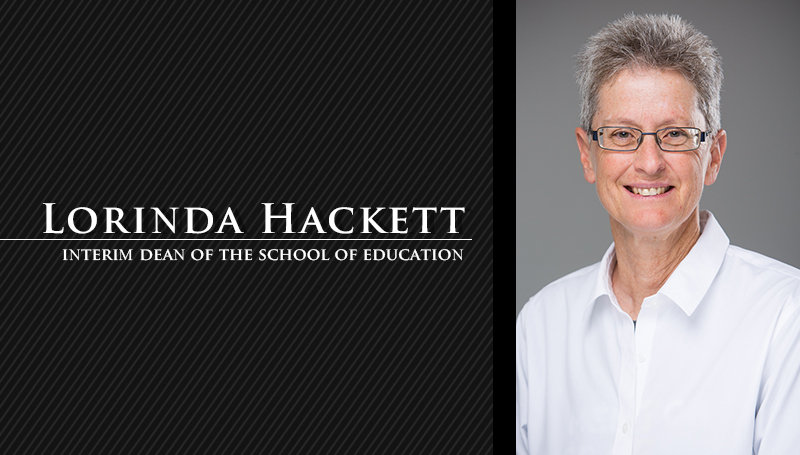 Dr. Paula Carson, provost and vice president of academic affairs, said she was pleased that Hackett accepted the important leadership within the College of Education and the university. PreviousThe Game Plan: Need help with your minigame?